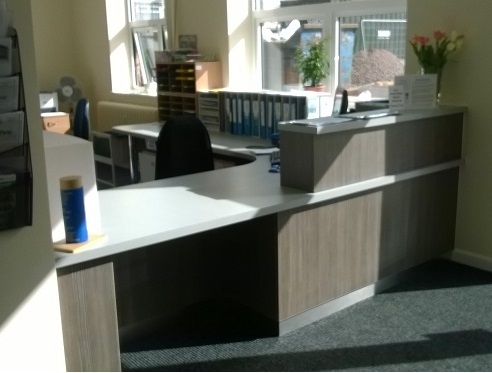 We do more than just manufacture washroom cubicles, in recent years we have started building reception desks for a number clients in different sectors. From sports and leisure to hospitals and even local libraries. On the right are just a few examples of our work. 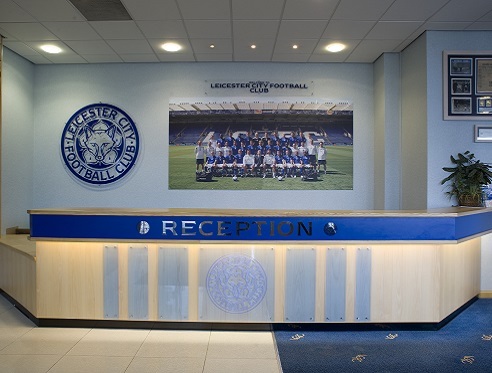 We manufacture all our reception desks which means you can have it made bespoke. 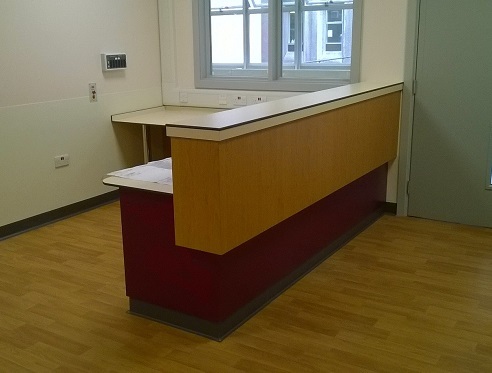 Working with hospitals and local authorities has given us a deeper insight on following regulations especially when it comes to sensitive subjects such as disability, this has allowed us to manufacture professional products that meet strict requirements even when it comes to standard items like a reception desk. For more information on any of our services please call us on 0116 277 7771.